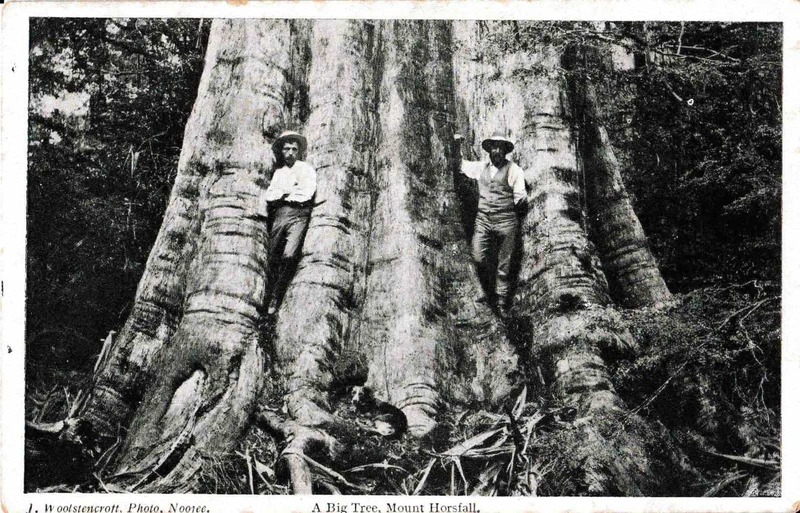 A Big Tree Nr Mt Horsefall (before the 1939 fires!) Thanks to Thomas Osburg for the wonderful photo. I love the dog. I wonder are there still a few of these hiding in the catchment somewhere? Won’t know unless I take a look! Note to camping at Mt Horsefall: Mt Horsefall has a beautiful @ 5 acre grassy clearing at its summit with @360 degree views so on still days it is a beautiful spot to camp. Unfortunately there is no water. 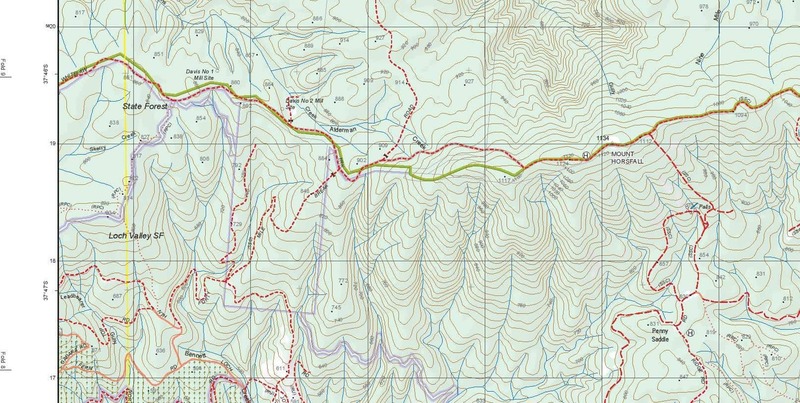 There is water at the Penny Falls about 1 km South-East (see map) down a closed track obscured by a logging coup. I will try to mark the route when next I’m there. You can also camp at the Falls – space for 1-2 tents on the side of the unused track. I imagine there is also water at the Davis No2 Mill Site approx 2.5 km West if you are coming the other way.